First Wing Charter and Management has announced the hire of Jason Spoor, a former Captain and Training Director for Google, Inc., to serve as Vice President and General Manager. 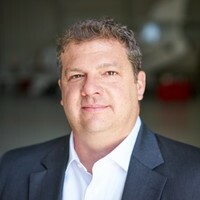 In his new role, Spoor will provide direct oversight to the company’s charter operation that consists of seven corporate aircraft that travel to destinations throughout the U.S., South America, Caribbean and Canada. First Wing Charter and Management is part of the Eagle Creek Family of Companies based out of Indianapolis, Ind. with additional locations in Zionsville, Ind., Frankfort, Ind. and Naples, Fla. As one of the country’s only locally-owned and operated aviation charter companies, First Wing offers premier, private jet travel experiences specifically tailored for each customer. At Google, Spoor managed the primary training program for pilots and aircraft technicians, which focused on enhanced customer service and providing direction for future growth. Spoor has an 18-year career in aviation operations for high-growth and Fortune 500 Corporations, including Stryker Corporation, Boeing and the Indianapolis Motor Speedway. Spoor received his MBA in Leadership Studies from Lewis University and a Bachelor of Science in Professional Flight Technology from Indiana State University. Aviation certificates include: Airline Transport Pilot – AMEL; Types Ratings: CL-65, CL-604, LR-45, LR-Jet, IA-1125, G-100, BBD-700, GV, DA-2EASY.